My book project, Nitrogen Revolutions: Agricultural Expertise, Technology, and Policy in Chile, examines the transnational process of agro-technological change that led to Chile’s first expansion of nitrogen fertilizer consumption in the second half of the 20th century and triggered a cascade of ecological effects at a local and regional scale. The increasing use of nitrogen fertilizer remains central to the worldwide process of agricultural modernization known as the Green Revolution and is one of the main drivers of present-day global environmental change. Today, although the so-called “nitrogen challenge” or “nitrogen problem” has received limited public attention compared to biodiversity loss and climate change, scientists consider nitrogen a leading socio-ecological concern for the 21st century. As a consequence, scholars and policy-makers around the world are currently working on expanding management practices, technologies, and policies to reduce the ecological impacts of nitrogen fertilizers while also meeting the demands of food production and protecting the environment. 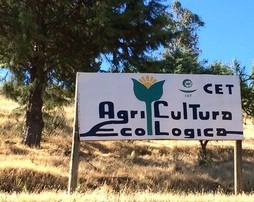 Using Chile—one of the highest consumers of nitrogen fertilizer in the Americas—as a case study, this work places Chile’s process increasing nitrogen fertilizer consumption within a transnational history of knowledge and technology transfer and offers a novel approach to the uses of historical expertise in contemporary environmental policy issues. In so doing, I address two central questions. The first one concerns the contributions of history to the interdisciplinary study of nitrogen science and policy today: How can the history of science and technology, science and technology studies, and the history of politics, institutions, and policies, offer novel approaches to the study of the nitrogen challenge? The second addresses the value of historical expertise in contemporary policy change processes and debates: How can the historical analysis of state development, institutional design, and knowledge and technology transfer inform more environmentally sustainable agricultural practices and policies? If you want to learn more about this book and the broader project, send me an email.